We were proud to be one of the sponsors for The Highcliffe Revival Food Festival. * Introducing our newest product - Montibello. The Montibello range is a salon based product from Barcelona keeping the hair in optimum condition giving great shine & fantastic colour results. It is not tested on Animals. colorpHlex improves the strength and quality of the hair from the inside out. Scientifically formulated, colorpHlex uses a naturally derived vegetable protein molecule that penetrates the hair, reinforcing bonds during the color and bleach process. Clinical trials show that a small amount of colorpHlex added to hair color or bleach makes hair up to 4Xs stronger, significantly reducing breakage, returning hair to its natural healthy state. Ask your stylist for more information. 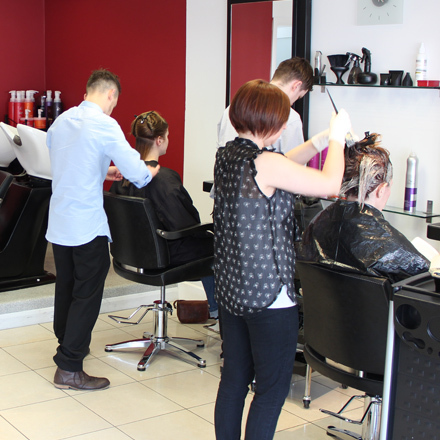 * We are looking forward to the Saturday 11th May, when we start our new refit to the salon, the salon will be closed from 2.00pm. We will be open as usual on Monday 13th May at 9.30m.